This picture was taken in Willingham 100 years ago in somebody’s back garden – we don’t know where. There are a couple of things that are striking. The first is the bike. 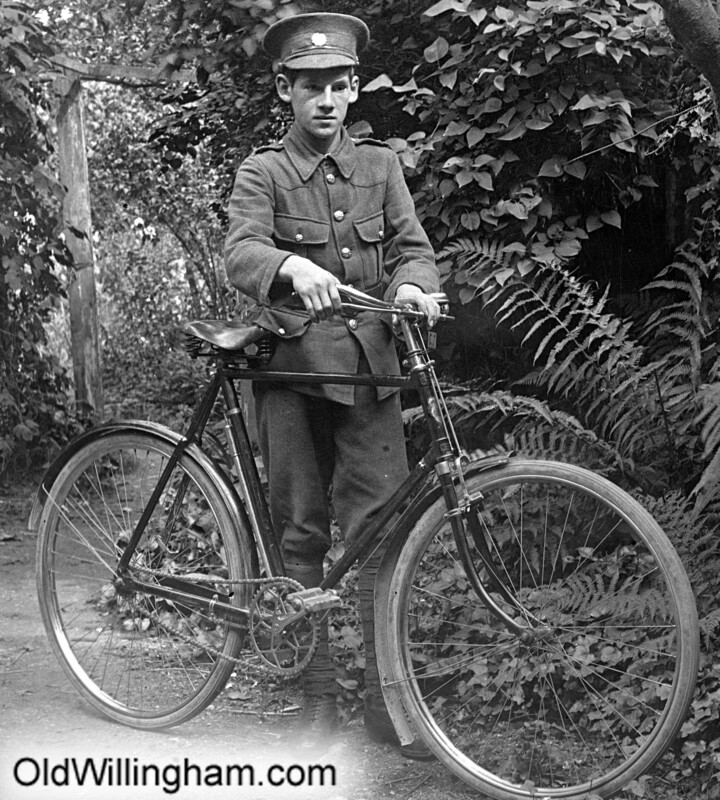 We take them for granted, but bikes like this were only invented twenty years before this photo which means it would have been a new and prestigious possession. No wonder that it is being shown proudly. Horace Thoday’s shop on Church St. started selling bikes around 1910 and this may have come from there. The other striking thing is how young this chap is; probably still in his teens. We don’t know who he is and we can only wonder whether his name is now on the memorial in the Parish cemetery.